Moving is no easy task. It is time consuming, arduous and stressful. When you have to work, care for kids, and do other daily errands, trying to move can be a huge headache. It is best to hire a mover for any type of move you may have ahead of you. If you are unsure of how to select a mover so that you end up with the right company, there are six things you can look for to help you make a sound decision. 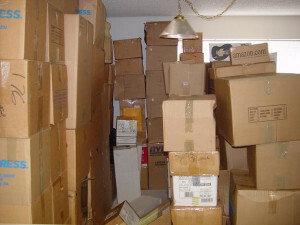 There are also so tips to be given for those wanting to make the moving process as smooth as possible. Having insurance will only guarantee a smoother and safer moving process. Even though you have hired professionals to complete the job, that doesn’t mean that an accident won’t happen during the transport or your belongings. When you have insurance, you have coverage over all your belongings. Many moving companies will have a small variety of insurance coverage to select from for your move. Some people believe that their homeowners’ insurance policy will cover their property. However, often times it does not. When your belongings aren’t on the property listed on the policy, they may not be covered at that time. You can double check with your insurance company if you wish, but it is usually always in your best interest to purchase the insurance through the movers.